Anyone who holds a senior position now needs to have an analytics mindset. 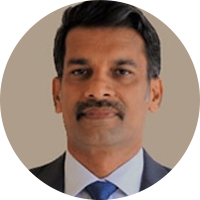 I am an IT/Telecom professional with over 20 years of experience across functions like R&D, Business development, Program management, Global delivery & P&L management. Have held various management positions in organizations viz. Larsen and Toubro, Dimension Data, TCS, and Cognizant, working with clients from various Industry verticals like Telecom, Retail, Transportation, Hospitality, Energy & Utility & BFSI , for large IT outsourcing programs. I am currently on a sabbatical, my last role performed being, Director- Delivery, at Cognizant, in Infrastructure services. While on my sabbatical, I wanted to make use of the time by learning something current &relevant for future. We have been hearing and experiencing a lot happening in the space of cloud, Automation, Analytics & AI these days. Taking a deeper look at the trends, I realized that data analytics , especially, has been increasingly gaining importance across various organizations, regardless of their size & type of business, taking a pivotal role in the digital world. Moreover, data is seen being used & leveraged more and more, in addressing business situations/problems, with an unprecedented rigor. Being an Engineer, I always had a basic liking to Math and Analysis. Keen to learn Data Analytics, I spent a good deal of time, scouting for online courses & content on social media & Internet. But, very soon came to a realization that the topic of Data science is very vast and deep with wide spread applications, and it makes better sense to learn the same,in a structured and scientific manner. Great Learning had been maintaining one of the leading positions, consistently in offering & delivering the most sought after courses in analytics. Another aspect, which I felt carrying a higher weight age, was that of its Industry sessions in the curriculum, bringing forth the real application flavor, from various Industry experts. After all, the essence of data Analytics lies in its real- life applications, making better decisions, the data- driven way! Experience, one gains being in connect with participants from vastly heterogeneous background, is unique. Classroom consists of participants with experience ranging from 2 to 20+ years from various Industries & diverse functional role background. Interactions with the peer group help in understanding the trends in various Industries, which not only help accelerate the learning, but also make one appreciate the ever- evolving applications of analytics, across various sectors.